The intensity of the "polarized" reaction to Dragon Age 2 was a shock to lead writer David Gaider, but he says it's still better than apathy from the audience. The release of Dragon Age 2 brought with it some pretty strong reactions from gamers, both positive and negative. Nearly 500 people vented their spleens in response to the very positive review here at The Escapist, expressing love and hate for the game with more or less equal fervor. That everyone seemed to have an opinion didn't come as a great surprise, Gaider told Gamasutra, but the apparent burning need to express those opinions at maximum volume sure did. "If there's anything that's surprising, it's just how polarizing the reaction has been," he said. "There's a lot of love for Dragon Age among our fans, and that love can translate into passion." "In my opinion, that's better than apathy, even if it forces you to filter out the extremes," he continued. "However, the criticism should not be dismissed as simple nostalgia. There are fans who felt disappointed... and there's a feeling [on our team] that we want to improve from the groundwork we've laid down." 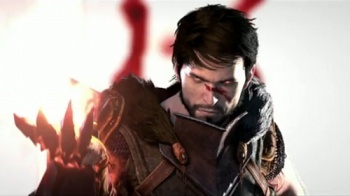 But while lessons have been learned and will be applied to future releases, he also acknowledged that some gamers are bound to be unhappy no matter what the studio does with the franchise. "At the end of the day, Dragon Age can't be everything to everyone," he said. "So we simply have to pick a direction and make it the best experience we can."